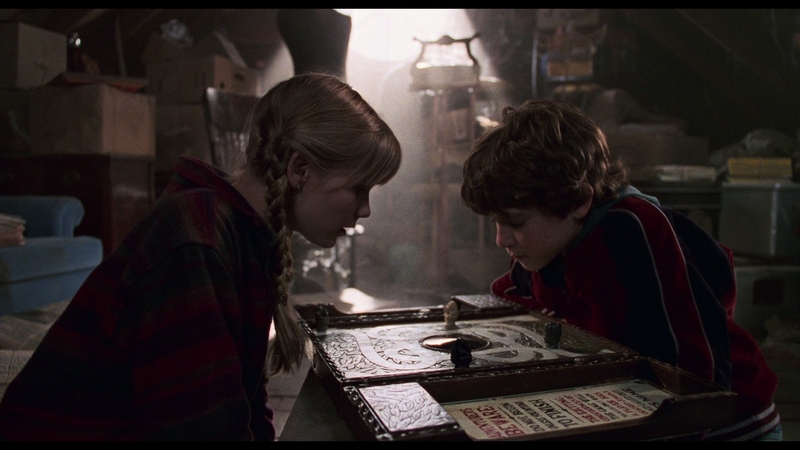 The Jumanji board game, with unexplained mystical powers to call the jungle into reality when played, acts as a conduit. 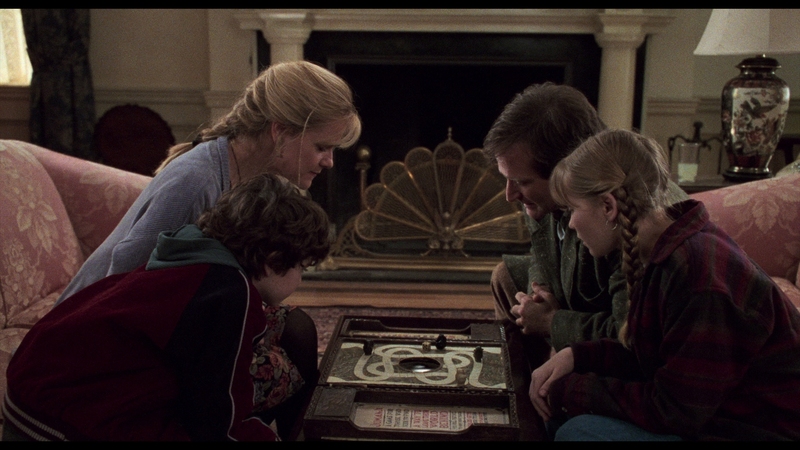 Jumanji is never about the game – it’s about forcing players to reconcile with their grief, their loss, and fears. Although Jumanji places players in danger and sends a small American town reeling, action lets everyone playing deal with their emotions. Jumanji does go too far. 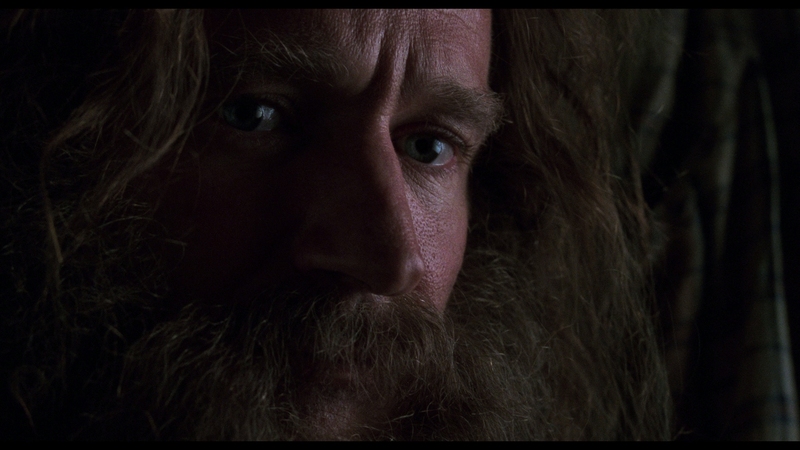 Robin Williams in the lead role adds his erratic style, placed into a film already primed for a plethora hyper-activity. 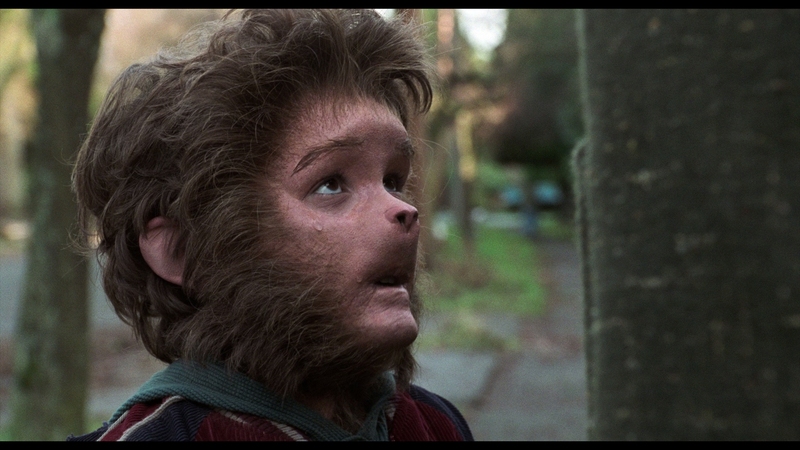 Jumanji set a pace for future family cinema, establishing the urgency for visual effects. The eagerness to jump into hyper kinetic action and frivolous visual effects saps the intended emotional core. 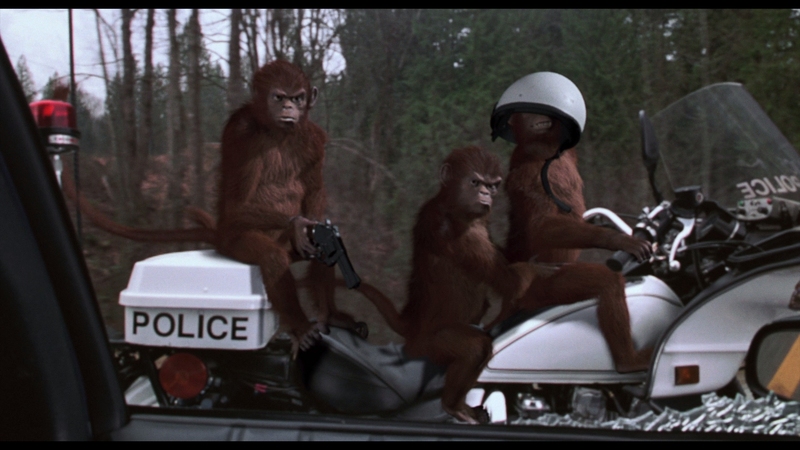 Monkeys run rampant, elephants trample cars, Williams tackles a crocodile; Jumanji hates to slow down. That’s a show of enthusiasm though too. Jumanji goes berserk as to not lose the target audience. There’s still time to envelop the story with thematic weight. Kirsten Dunst and Bradley Pierce act beyond their years as two kids left orphaned after a tragedy. To them, Jumanji is an exciting escape, even as their dice rolls bring lions, killer mosquitoes, and rampaging monkeys into their attic. They’ve found magic, pulling them away from their defensive shells. 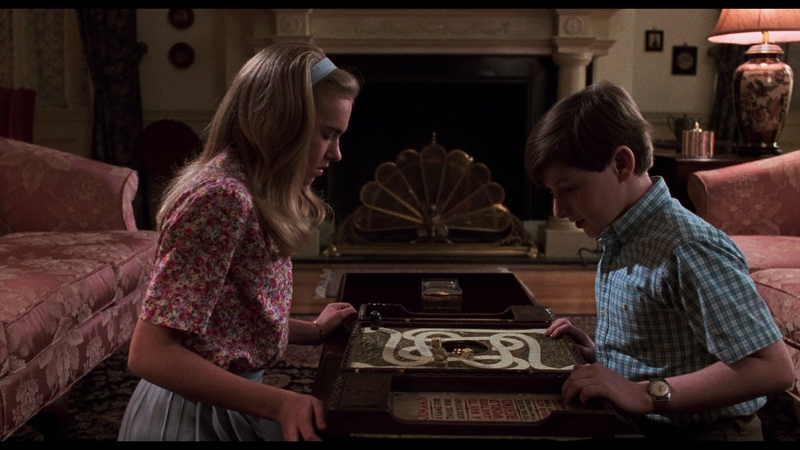 Robin Williams and Bonnie Hunt follow that pattern too, Williams trapped inside the game for near 30 years, Hunt traumatized for the same number of years after witnessing the capture. Whatever their hesitations, they share equal footing with those kids. 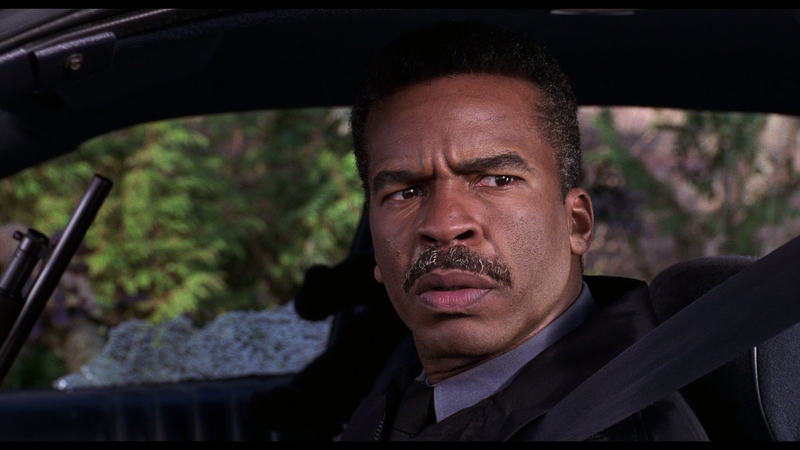 On an emotional level, everyone in Jumanji is an equal. Never does Jumanji speak down to kids, rather creating a narrative parallel to keep pre-teens (and their problems) unprejudiced. Young or old, life draws everyone into the same problems. 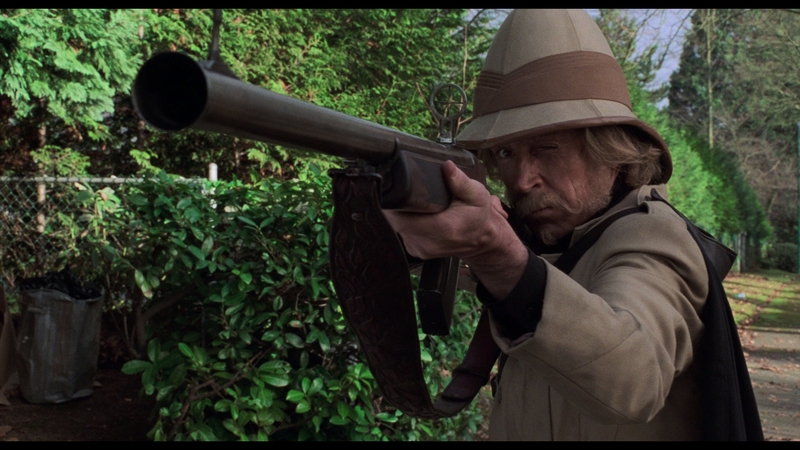 It so happens Jumanji (along with mystical qualities) is the jumping point to seeing so. 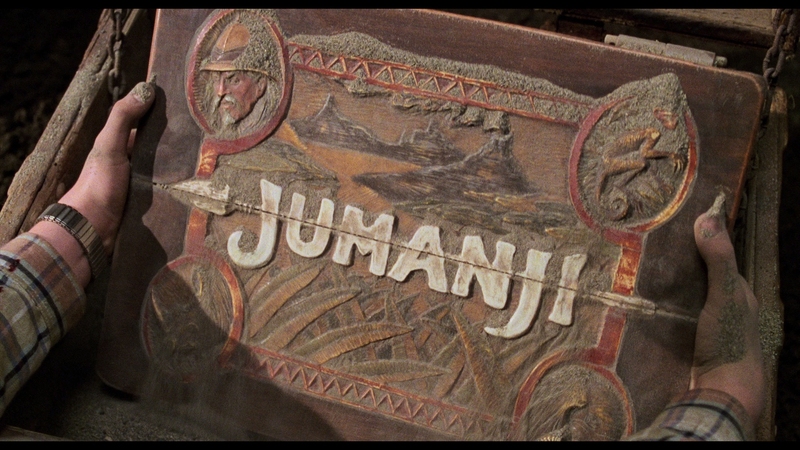 In 20 years since release, Jumanji’s once heralded visual effects do dampen the scenery. All of the excitement and thrills fall off with modern eyes. Computer generated monkeys bounce around unnaturally, with crummy fur and ghastly faces. Stampedes fare better. Their hyper-active movement hides plenty, even if their shadowy appearance never rises above artificial. A number of animatronics give life to lions and plants though. They remain sensational. 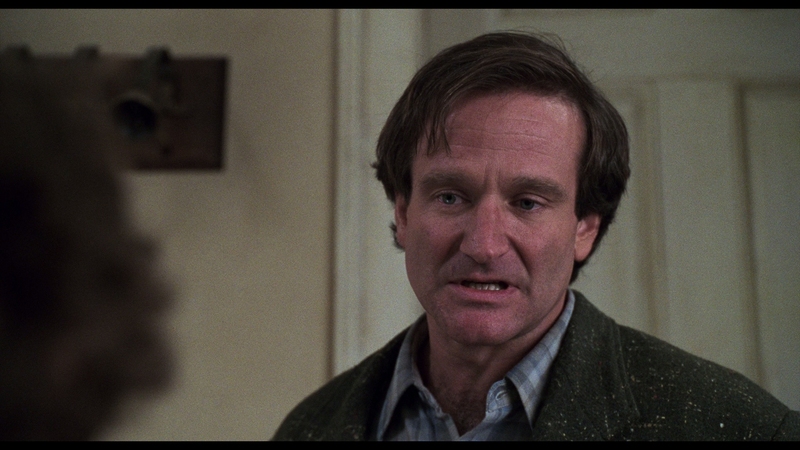 Plus, there’s Robin Williams, glowing, affectionate, and ever learning. He’s a kid in a man’s body, and a year later took that to a logical extreme in Jack. This test run offers fish-out-of-water humor and moments of unending energy. Williams is the anchor. 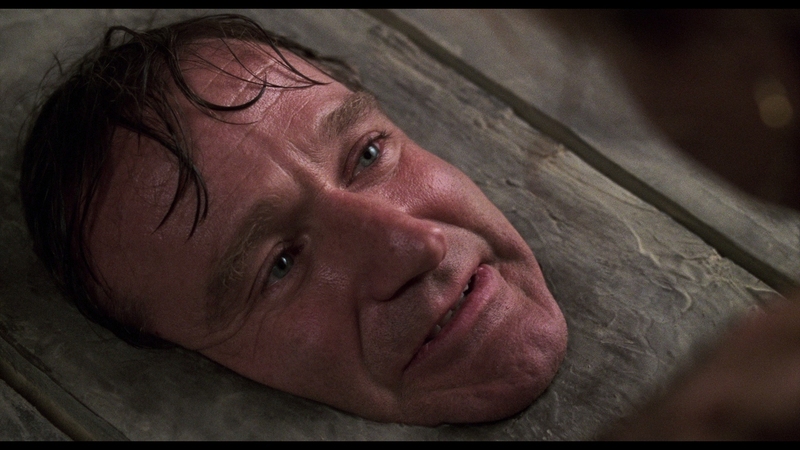 Without him, Jumanji pales. Sony debuts Jumanji on UHD with a rather dazzling 4K master. Perky, natural grain hangs over the images, cleanly resolved without issue. Consistency helps. The source print – free of debris or damage – remains steady. 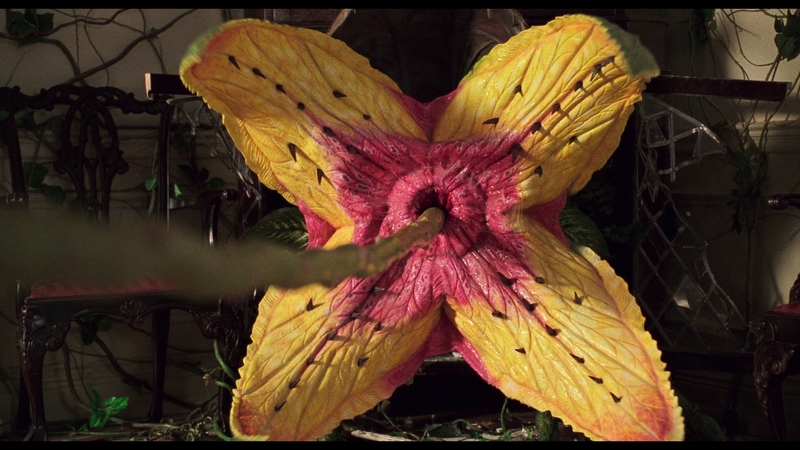 Although Jumanji’s transition shots incur a hit to sharpness (as do those involving the low resolution computer effects), the rest maintains beautiful fidelity. Close-ups reveal extensive facial definition. Outside, the camera catches a number of fine details. Trees and grass show off their finest qualities. As Williams walks through the crowded downtown scene, window chalk shows texture, even in the mid-range. Using subtle HDR effects, boosts occur with exterior lighting coming in from the windows. Those highlights give Jumanji pop. Pure, rich black levels add to the image density. 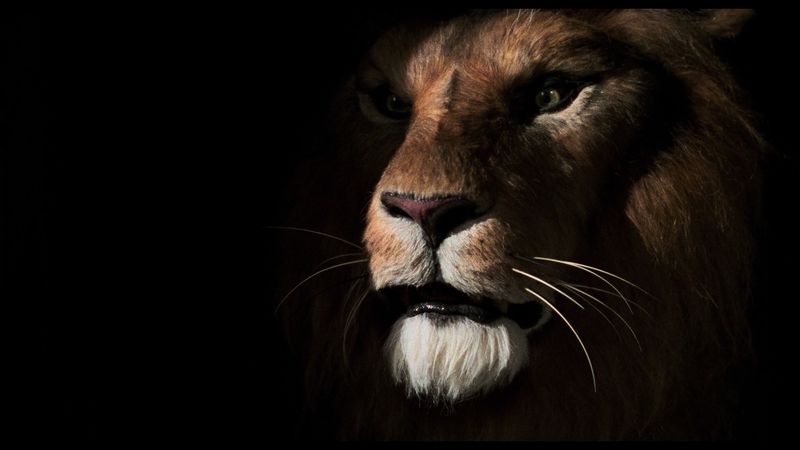 Wait until the lion first peers from the shadows to see that effect. Generally pure color brings natural flesh tones forward, also excelling in primaries. First walking into the home, Bebe Neuwirth is swept up in warm tones. It’s a gorgeous scene, and this is a gorgeous transfer. A sensational Dolby Atmos offering favors the rear channels, arguably too much so. Even the score bleeds aggressively into the back. That said, the nuance and precision of this track is pure spectacle. It’s “on” from the start with wolves howling in the distance and kids on bikes panning through the soundfield. Bats swirl around and the dynamic drums of Jumanji’s call fill in the rears. A few drop offs in dialog fidelity warrant mention, if no concern. Better still is LFE support, hammering the low-end with judicious power. Stampedes feel appropriate to the camera shake and the gunshots of Van Pelt stun as each bullet fires. Of course, the location of those shots is preserved in the positional channels as needed. What a joy. The included Blu-ray houses all of the extras and it’s a shame the effects crew commentary track can’t be listened to on the 4K disc. New to this edition is a gag reel, pure gold with Robin Williams on set. Two deleted scenes offer different takes on the ending. Vintage featurettes include a 20-minute making of, effects featurettes, and a look inside the home’s production design. Some episodes of the Jumanji animated series, various art galleries, a motion comic, and animal facts round things off. 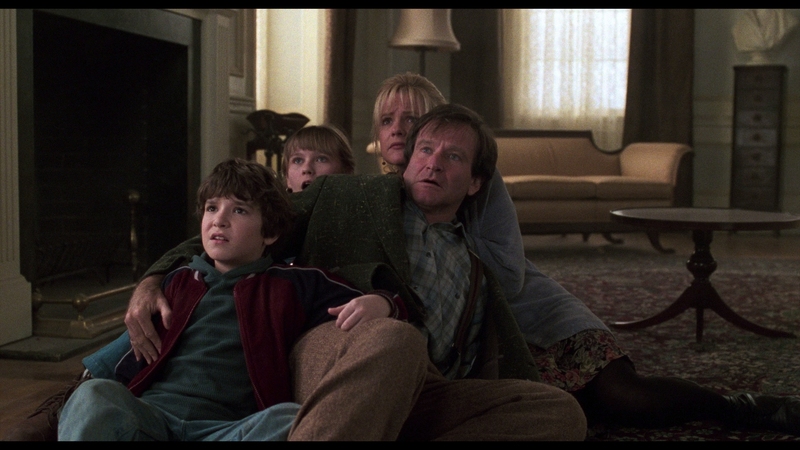 Jumanji features a number of grand (even tiring) action scenes, but its story of loss, grief, and fear peer through the special effects. The 15 unaltered images below represent the Blu-ray. For an additional 17 Jumanji screenshots, early access to all screens (plus the 9,000+ already in our library), exclusive UHD reviews, and more, support us on Patreon.